Tackling cost issue is perhaps the most painstaking process which demands deep expertise as well as certain intuitive feel. Pricing your product too low or too high can have unfavorable consequences for your online business. In the first situation, you may have overwhelming sales with a rather small revenue. In the second one, you may find out that users aren't ready to spend a pretty penny on purchasing your higher-tire products and end up with the only few items sold and almost no money earned. Ultimately you will be struggling to make both ends meet. Thus, to play successfully within the market, it’s necessary to apply an effective e-Commerce pricing strategy or combination of different approaches. One of the most widely-spread and simple ways to establish the price for a product by using a cost-based approach. It is founded on actual figures you operate and perceived to be fair for both retailers and buyers. Firstly, define a particular cost associated with the product and then add desired profit margin. Seems to be a piece of cake, but how to get mentioned numbers? The cost you pay for an item usually comprises a purchasing price from a producer or wholesale merchant and operational costs per unit. To determine the latter, count your ongoing expenses linked with internal online store operation. In fact, to run a store retailers pay numerous fees for shipment, e-Commerce solution, warehousing, human resources, just to mention a few. Finally, determine and add your target markup, which should be sufficient to cover ongoing expenses and let you earn your profit. Sellers play within a huge online market, not within an isolated environment and have to take into account other player’s pricing patterns. So it’s crucial to get a clear vision where you stand among other competitors and how your prices relate to their offers. After gaining such expertise, you will be able to choose one of the following e-commerce pricing approaches. It is often called ‘Penetration strategy’ and can help you out when you are just entering the market and aimed at luring new customers to your website. Once, you are successful in obtaining the desired market share and broad client base, the prices can be leveled off. In the beginning, you may risk to end up with very modest profit or might struggle to break even. However, there is an excellent opportunity to perk up your income by cross-selling higher marked-up items and to increase substantially the average order value. It's a well-known fact, that people tend to identify products as having superior quality or belonging to a premium class if they pay a significant sum of money for them. So price deliberately your products above the competition deliberately to brand your them as exclusive or luxurious items. You can use these tactics efficiently only if you manage to provide a maximum of credibility for your store and convince users into spending money. More expensive prices can be also adopted within ‘Skimming’ strategy. The idea is to install higher cost when the product is released and then gradually reduce it to an average level. In this case, you are targeting ‘early’ adopters who are less price sensitive and are likely to have higher disposable income. So don’t miss a chance to skim the creams off the market by selling less and getting more! You can presume that it would be wise to put approximately the same prices as your competitors. But remember, following this scenario means you’ll have to make an emphasis on marketing campaigns and other tools that make your business stand out. In such situation so-called ‘Price anchoring’ tactics, based on a human tendency to make their decision grounded heavily on the first piece of information they get, can be beneficial for you. So, if you place two products next to each other, a more expensive vs an average-priced, your standard option will look like a real bargain in comparison. It ultimately draws user’s attention and drives them into making a purchase. The price is based on the value buyers prescribe to the product rather than on an actual cost. To implement this strategy successfully, you have to investigate thoroughly who are your potential customers and what can you offer them or in other words what is your Unique Sale Preposition. If your potential buyers are experienced deal hunters, then get ready to offer nickel and dime prices along with various discounts and promotions. In case, your targeted audience is luxury-oriented customers, you won’t get much response with offering bargains. Instead, it’s advisable to focus on creating and communicating the value of your product based on specific benefits like reputation, convenience, prestige, etc. Successful implementation of chosen e-Commerce pricing strategy depends on peculiarities of your shop, as different platforms provide different options. If you feel the lack of functionality or customization options to modify prices within your existing platform, you may decide on switching to another shopping cart that can be fully tailored to your needs. You can perform migration fast and seamlessly with an automated tool Cart2Cart, that allows transferring all the data like products, categories, customers, orders reviews, coupons, etc to one of 70+supported shopping carts. Try out an absolutely Free Demo migration that takes up to 30 minutes and lets you transfer a limited number of entities in order to test the service and evaluate your newly created store. 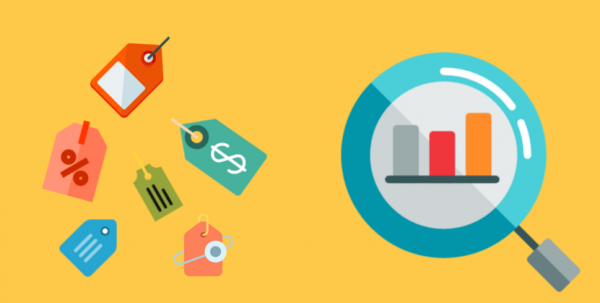 One thought on "3 Most Effective E-commerce Pricing Strategies"